ES Ironworks desks from Invincible Furniture. 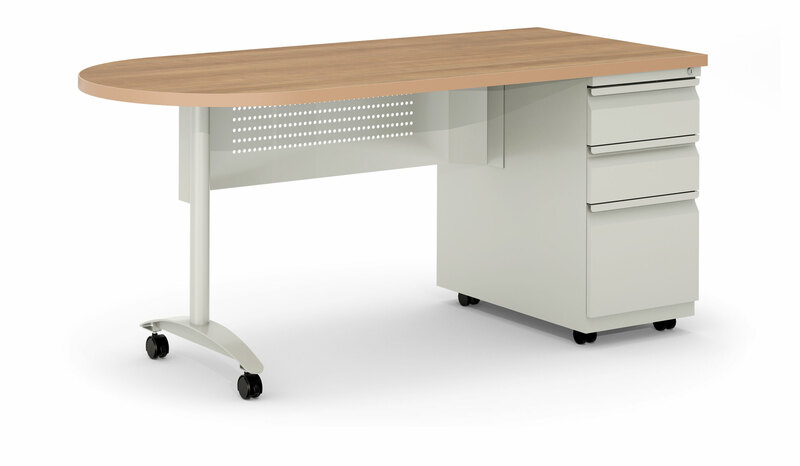 NEW Invincible ES Ironworks series Teachers desks (Instructor Workstations) features cutting edge design! 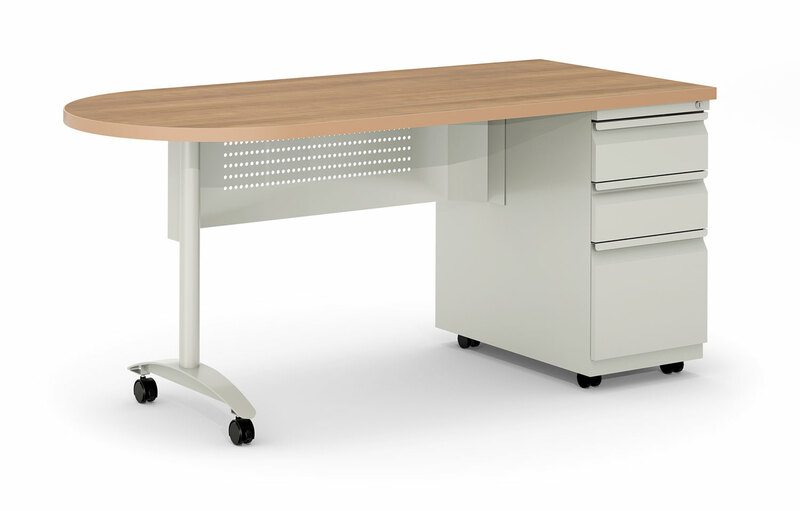 Series comes standard mobile and with a center drawer. Series comes standard with 12" modesty. 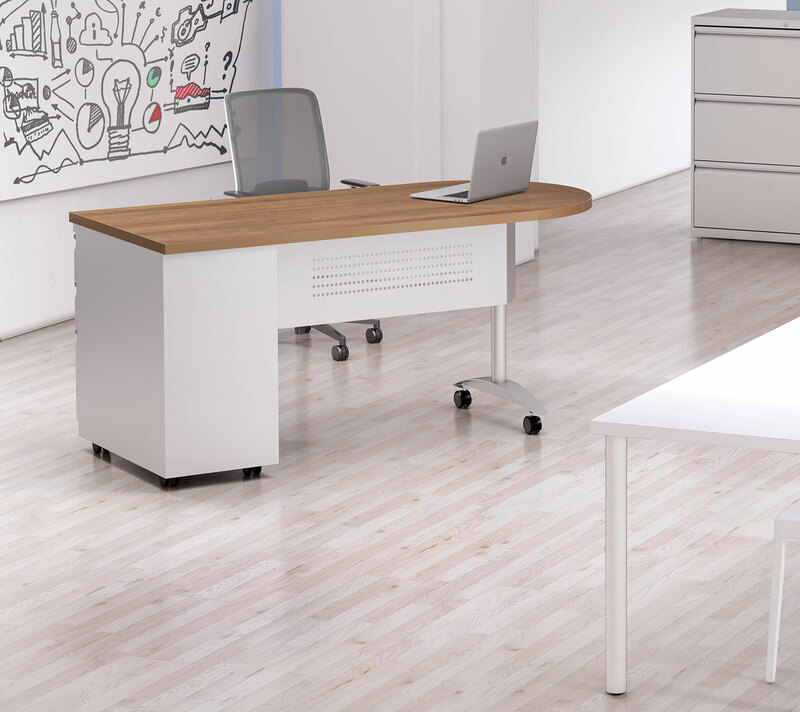 Series comes standard with BBF ES Pedestal (locking) and “D” top. Wood core laminate top is 1-1/4" with T-mold edging. ES Ironworks standard size is 66" x 30" with 28-3/4" deep pedestal.